As mentioned earlier today, Nokia has arrived at Mobile World Congress 2013 in Barcelona complete with four new devices that includes the Nokia Lumia 720. Runs on Windows Phone 8, the smartphone is equipped with a 4.3-inch ClearBlack IPS display covered by Corning Gorilla Glass 2 and features pixels density of 217ppi as well as graphics resolution of 800×480 and Nokia’s super sensitive touch technology. The device is powered by a dual-core 1.0GHz Krait CPU that is contained within a Qualcomm Snapdragon S4 chipset and coupled with 512MB RAM. 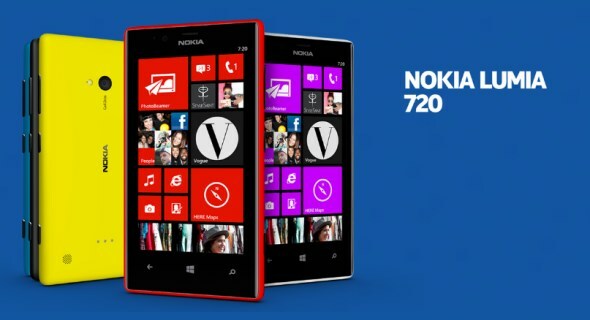 The Lumia 720 also features 6.7-megapixels autofocus camera with f/1.9 Carl Zeiss Tessar optics together with a 1.3-megapixels wide-angle front-facing camera. With internal capacity of 8GB, the Lumia 720 is the first unibody Lumia that supports microSD card. Last but not least, it also comes with NFC capability and the support for Qi wireless charging via optional snap-on wireless charging cover. 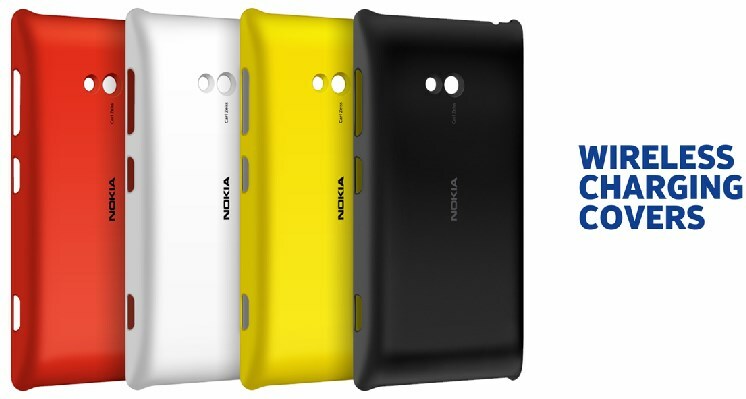 Designed for non-LTE markets, the new Nokia Lumia 720 will be released in Hong Kong, Vietnam and Singapore within this quarter before making its way to other parts of the world in the second quarter of 2013. Positioned as a mid-range device in the Nokia Lumia Windows Phone 8 family, the device is estimated to be priced at RM 1020 (EUR 249). 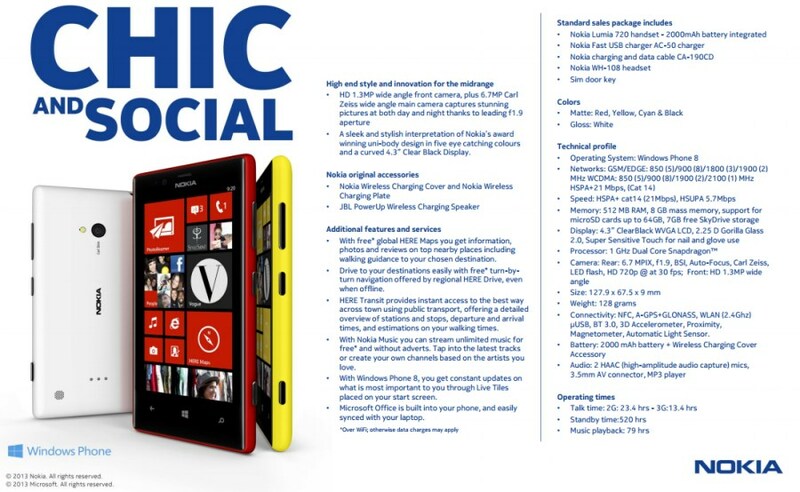 Click on the Read More link below for Nokia Lumia 720 full list of features and technical specifications.